It’s been a minute since Katie Koven last graced a Hybrid Minds track. Six and a half years to be precise, with a track called Fade. Back then Katie was rolling solo as Katie’s Ambition working with acts such as Rollz, High Maintenance and Dexcell. Josh & Matt Hybrid Minds, meanwhile, were experiencing serious trajectory from their previous single; their evergreen soulful breakthrough Lost. In some ways it only feels like yesterday. But in most ways, it was a lifetime ago. Drum & bass has morphed and mutated furiously in various ways and directions since then. 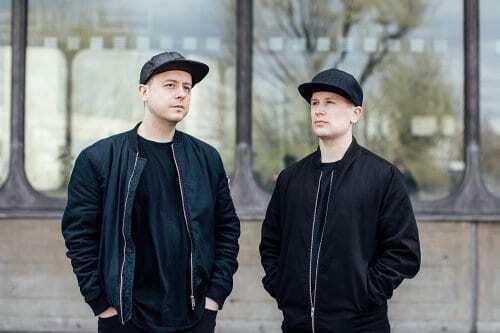 But Katie, now as one half of the unstoppable NCS and Monsercat smashing Koven alongside Max Rowat, and Hybrid Minds, a liquid tour de force voted second as Best Producers in the last Drum&BassArena Awards, have remained consistent in their soulful styles. Unwaveringly and unapologetically emotional in their output, it’s a wonder they haven’t worked together again since Fade. Matt: When Katie was Katie’s Ambition. Katie: I think it was down to A.M.C who linked us up. Looking back that opened a lot of doors for me. Shortly after I was discovered by Max and joined Koven. How come it’s taken you so long to link up again? Logistics? Life? Matt: We’ve wanted to do stuff together for ages but Koven thought they were too big for us so we’ve had to wait in the queue. Katie: That’s not true at all haha! They rejected a whole bunch of my demos! But no, it’s just a case of timing and letting things happen naturally. So when did the stars align? And how did they align? Josh: It’s very recent and was actually put together as an idea from you guys! We had a call from your A&R Sampo who felt we could do something special together. Matchmaker! So In Your Arms is tailor-made for UKF10? Matt: Pretty much! We were always going to do something together eventually but we had this melody sitting here and it just made sense to use it for this project. Katie really smashed it too. It’s a bit weird complimenting her to be honest. I’m not comfortable with it. Katie: I’m not either. It’s a bit strange. I’m more used to you tweeting false rumours about me. So what did you think of the track they sent over? Katie: It was a very nice instrumental, I was into it straight away. It was a very easy track to write to because the melodies are so strong. I went back over Josh and Matt’s tracks and listened to a lot of them because they seem to have a great relationship with vocalists and always make the vocals really stand out. I was trying to catch the vibe of what they’ve done previously. I wanted us to make a track as strong as any of the previous ones they did. Matt: That’s our comfort zone. We tend to start with the music and then add the vocals. Josh: We’ll build a chord progression, get some vocals and carry on building around that. Matt: Yeah totally. They kinda influence each other. How about you Katie? Do you have a persy stash of lines you collect as they come to mind, or do you jump on a track fresh? Katie: Fresh every time. I know a lot of singers carry a book of ideas or poems or lines but I’m always happiest responding to the music. I’ll start singing to it, see what works, pick a few words that I’ve liked the sound of and base the track around it. Matt: Hands seemed to play a lead role in this for you didn’t they Katie? Katie: I knew you were going to bring this up! I’m not sure this is printable but the original demo was called Both Hands but Matt said that reminded him of something maybe more aggressive and self pleasuring? Katie: It really wasn’t the vibe I was going for. Matt: Sorry mate, I do this quite a lot. Josh: I do think that Katie’s writing style and her way of building up lyrics is great. When we’ve worked with vocalists who do that in the past they’re always the ones who develop the best relationship with the music because they’re reacting to it and working with it. Rather than trying to force lyrics around the melody, which often doesn’t work. Katie: I can’t even comment on this! You’re ruining my art! One really strong similarity between Koven and Hybrid Minds is the poignancy and emotion you have in your tracks. What is it that makes it hit you emotionally? The chord structure? The vibe? Josh: The chord structure and lots and lots of reverb. Matt: A lot of samples are in the mix, too. We make our own leads but we have a lot of samples working their magic in the background. But mainly it’s a lifetime of listening to sad music coming out in our own music. That said, I think In Your Arms is much more uplifting. Katie: Yeah there’s a very fine line between sad and uplifting. That’s the poignancy. It’s like that end-of-one-chapter/start-of-another or eye-of-the-storm vibe. So where can we hear Max? Katie: He helped me sound great with my vocals so he was on board for that. He makes me sound better than anyone else can. Matt: We were going through loads of Koven tracks, trying to mimic what he does with her voice, but couldn’t get it right. So we sent the track over and he did some strings layered over the top as well. It gave the track way more energy than it had before. Katie: Yeah we are! Which is amazing anyway. But yeah it’s nice it’s happened now, for sure. We have been speaking about it for a long time. I’m glad it didn’t happen sooner because it sounds much better than it might have done when we weren’t so experienced as artists. And we’re both acts who’ve had a great history on UKF so it’s great to be part of the UKF10 series. Absolutely! We’ve all grown together! Matt: We all owe a lot to UKF. I think we were all in the right place at the right time. Working with brands like you guys and Liquicity has helped us massively and allowed us to spread to spread our sounds across the world. 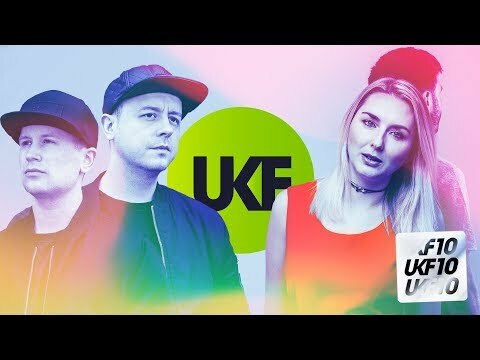 What’s your favourite UKF upload? Katie: Oh that’s easy. It was White Lies – Death, Chase & Status remix. I loved that when it came out. That was long before I could even dream of being on the channel. I was just a fan and a follower back then and that was a big tune in my life! Big tune! Josh: It’s got to be S.P.Y’s By Your Side! Matt: Great choice. But you know what? I’m going to say my favourite is our first upload Fade with Katie actually because it still gets amazing reactions, it’s a great track and it was awesome when you came down and sang that for us in London recently. Josh: Yeah it was an interesting one. We did a four hour set and got different singers to come down and perform with us. We also do the Outlines stuff with us Tempza and Charlotte Haining but that Hybrid Minds All Night with various singers. Great to see singers being celebrated in this way! Katie: I agree! 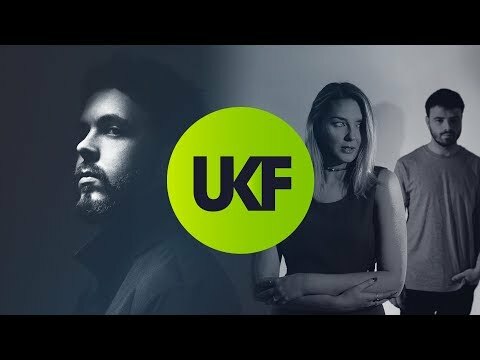 I love what they’re doing with Mike (Tempza) and Charlotte, it’s one of the first times a drum & bass act has put the singer at the front of the show and made them a staple part. It’s really important and from looking at the videos it went down very well. I want to see more of that. People are very receptive when a singer comes on the stage and starts singing. Matt: Without singers we’d just be stripped back liquid. The vocalists are a key part of what we do and turn our music from a tune to a song. It makes total sense to do this. Katie: When I do my DJ sets people love it when I come to the front and sing. It lifts the vibe entirely. People go crazy. Matt: They do don’t they? People have asked us about going live but that doesn’t make sense to us. We don’t want to relearn loads of hardware and break down our tracks just to press buttons on a stage and have them sound pretty much like you’re playing the record anyway. So bringing singers into our DJ performance is us taking a step int the live world, but doing it our own way. Matt: I can’t disagree with that. Josh: What else have we learnt? Matt: That Max doesn’t like going on planes, they like to party and they’re very nice people. When will you next work together again? Katie: How about never? It would just be a waste of time haha. No seriously, it will definitely happen again.